Just So Festival Clay Babies! Had so much fun working with the youngest festival goers attending the brilliant Just So festival over the weekend. For the past 5 years, Lottie and myself have provided sensory, exploratory and very, very messy clay play sessions for the under 4’s and their families. We hope you enjoy these marvellously mucky snaps from this year’s festival and of course a whopping great big thank you to all of you who came to visit us. Great to catch up with the regulars too!! http://eastnorpottery.co.uk/wp-content/uploads/2019/03/eastnor_pottery_header_2019-3.png 0 0 admin http://eastnorpottery.co.uk/wp-content/uploads/2019/03/eastnor_pottery_header_2019-3.png admin2015-09-06 19:35:102015-09-06 19:35:10Just So Festival Clay Babies! 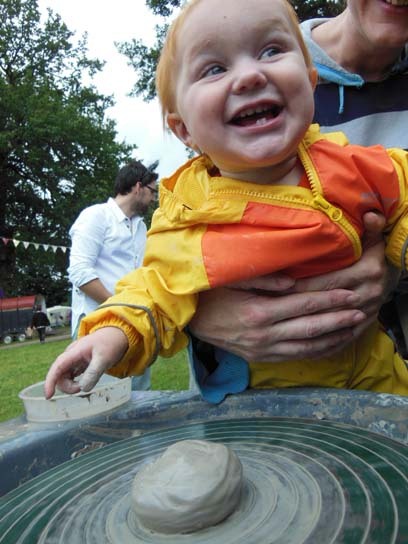 As those long, cold grey days are most definitely upon us we thought you lovely lot would like a timely winter warming reminder of all that ‘Just So’ clay babies fun we had back in August. Although we took a whole host of pictures ourselves, some participants kindly shared some of their own videos and pictures with us a little while after the event. Here’s a selection most gratefully received. Lottie and myself had so so so much fun at the 5th Just So Family Arts Festival at Rode Hall in Cheshire recently. 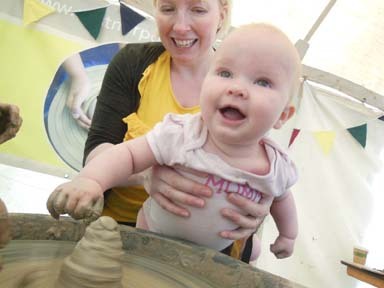 Once again we set up our Clay Babies stall in the Peekaboo area especially designed for the youngest festival visitor. 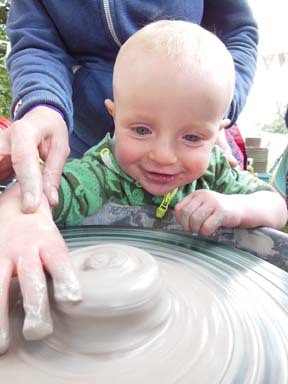 0-4 year olds got the opportunity to sample the potter’s wheel and messy play with bags of soft squiddgy clay. 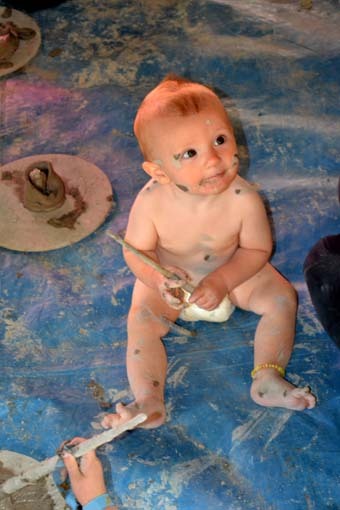 Clay babies always makes for a good photograph and we created a photo album on our Facebook page of some of the best. If you have a young family and have yet to experience the magic of Just So we strongly recommend a visit to next years event. 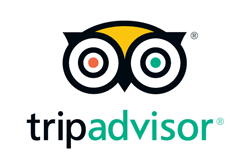 The attention to detail is astounding and the team spend 12 months programming some of the best family friendly activities and productions in the country and from further afield. So many highlights – Storytellers Patrick and Bridget entertained us nightly around the camp fire and Shanty Theatre Company’s ‘The Story Giant’ held us spellbound. http://eastnorpottery.co.uk/wp-content/uploads/2019/03/eastnor_pottery_header_2019-3.png 0 0 admin http://eastnorpottery.co.uk/wp-content/uploads/2019/03/eastnor_pottery_header_2019-3.png admin2014-08-25 21:03:062014-08-25 21:03:06All tomorrows potters! Lottie made this lovely little video of our time at Just So Festival 2013 working with very young children and their families in the Peekaboo area. Good work Lots, loving the choice of music too!